founded by artistic directors kelli mccluskey and steve bull, pvi collective has been creating work since 1998. we are a collective of seven - with two additional lead artists, a producer, a business manager, and a company coordinator. our subversive and experimental works invite audiences to become active participants exploring difficult subject matter within immersive, intimate encounters in crowded streets. together we seek out alternative solutions for an unstable future. 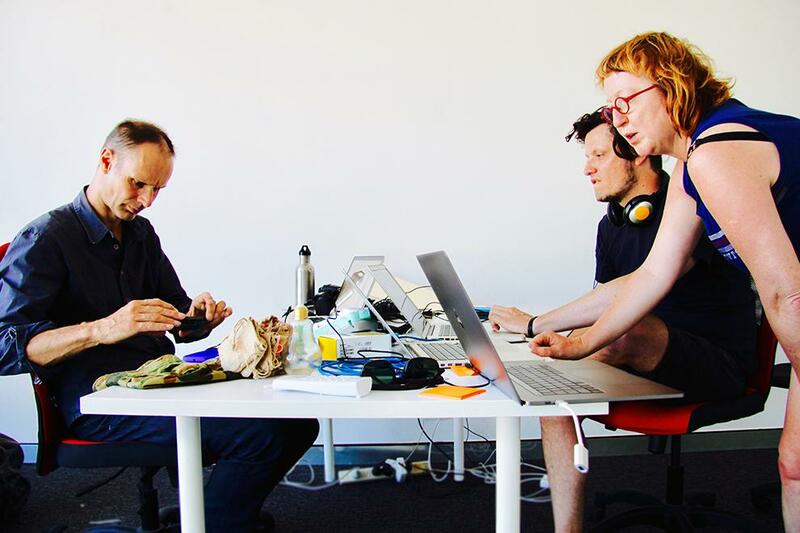 we are a tactical media art group, using appropriated games, emerging and familiar technology and diy tools. we are at the forefront of participatory practice in australia and have built a strong reputation for our guerrilla-style tactical interventions. pvi occupies a unique niche in the australian arts sector. there is no other tactical media art group operating similarly to pvi in australia. beyond our core business of developing new performance works, we are strong advocates for the arts and are part of global dialogues, enabling deeper conversations about arts development with peers at home. pvi collectives’ work is taught in undergraduate courses around the country. we lecture, mentor and provide peer support to emerging artists and groups on a national and international level. we regularly present on arts panels, symposiums and critical forums in australia and internationally. pvi core artists have co-curated festivals and featured in national and international art publications, tv interviews and critical research publications. nationally and internationally there is a trend towards the participatory work that we are producing and we are becoming more visible in europe due to attendance networking events, festivals and recent tours. this project is about: supporting future arts leaders. how: mentorship, studio space and a fee. where: pvi collective studio, perth, western australia. who: emerging experimental artists. expenses to be covered: for every $900 we raise in this campaign, we can cover an emerging artist for a month. 4 weeks of dedicated desk time in our co-lab space, 1 hour of mentorship with pvi collective each week, and a $480 honorarium fee to help cover their expenses. we already have our sweet seat artist in residence initiative, where an emerging artist is gifted with 3 months of desk space and mentorship. we'd like to extend our capacity to support emerging artists by having a monthly version. many artists cannot afford to take time off work to make the most of the desk space available. by including an honorarium, we can help them spend as much time as possible using the desk and focusing on their project and practice. interested artists will send in expressions of interest, which will be assessed for suitability by pvi collective as they come in, in line with funding available. this campaign is to raise enough money to have an emerging artist in the desk every month for the whole of 2018.